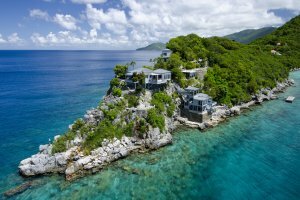 The British Virgin Islands has one of the most flourishing economies in the Caribbean region. In 2010, the BVI had the world's 19th highest GDP per capita. The country's GDP is smaller when regarded in terms of purchasing power, from this point of view the BVI is ranked as 215th out of 229 countries. The major economic sectors of the British Virgin Islands are tourism and financial services. The BVI was estimated 34th in terms of global financial centers, in 2015. The Territory is considered a tax haven with an “opaque” banking system. Financial services represent one of the main sources of revenue for the country. The revenue is gained by the licensing of offshore companies and related services. It should be mentioned that the BVI plays a significant role in the offshore financial services industry. Tourism represents about 45% of the country's income. The British Virgin Islands are known as one of the world's greatest sailing destinations. The BVI economy is highly dependent on tourism and financial services. The country has poor soils which are the cause of a limited agricultural activity on the islands. This natural condition reduces the country's ability to meet domestic food requirements. Agriculture and industry account for only a small proportion of the British Virgin Islands' GDP. The main agricultural products include vegetables, fruits and sugar cane. Livestock raising is also an important agricultural activity. Other industries are rum distillation, construction and boat building. The British Virgin Islands is the world's 160th largest importer. The BVI's main imports are food products, cars, construction materials, machinery, ferroalloys, refined petroleum. The island's primary import partners are Russia, US, South Korea, Germany and Italy. The British Virgin Islands is a British overseas territory situated in the Caribbean to the east of Puerto Rico. 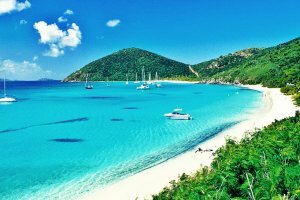 The BVI consist of the main islands of Tortola, Virgin Gorda, Anegada, and Jost Van Dyke, and over 50 other smaller islands. The country is a member of the Caribbean Community and Common Market (Caricom) (associate), Caribbean Development Bank (CDB), Organization of Eastern Caribbean States (OECS) and other international organizations. All imported products are subject to import duties varying from 5% to 20%. Imports entering the B.V.I. on a temporary basis, will not be subject to duty. 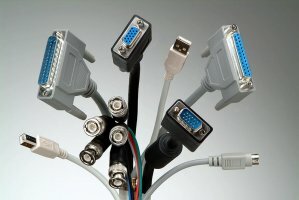 There is no customs duty on the importation of computers. There are no sales taxes or value added taxes in the BVI.